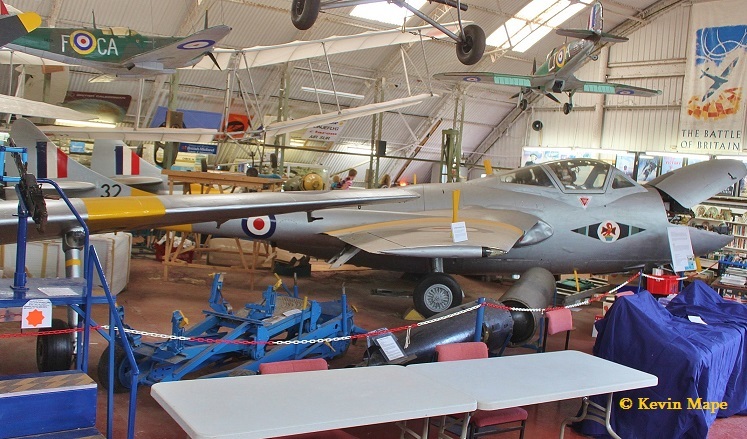 For a long time I have wanted to revisit the Norfolk & Suffolk Aviation Museum at Flixton in Suffolk so I checked the weather and sorted out the camera bag, I got away from home about 10-30am and had a quick look at the BBMF and ASP ramp at Coningsby, I set off and arrived at Flixton around 13-10pm and had a good couple of hours looking round at this privately owned Museum with plenty of unique aircraft and Autogyro’s. 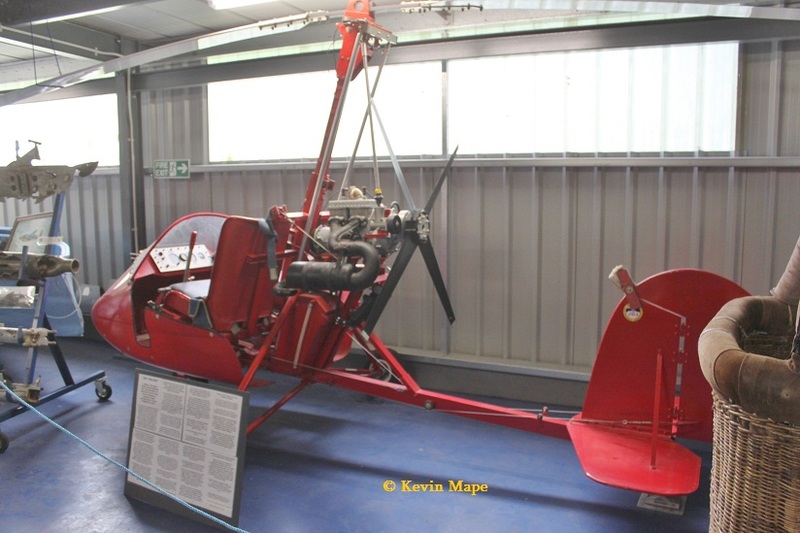 I had not visited for about 10 years so a lot had changed, Several new display Hangers and a lot more exhibits since my last visit.I have posted a log and pictures of what I viewed on the day. 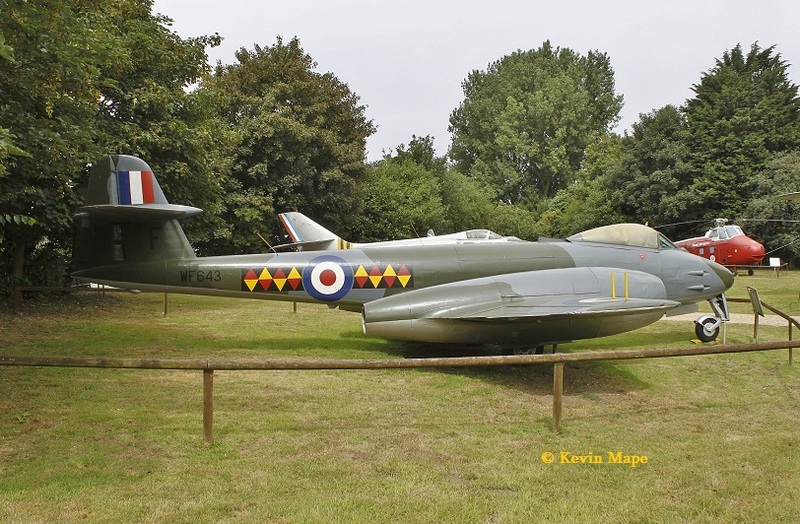 WF643/F/611(West Lancs) Sqn marks/ Meteor F(TT)8- RAF marks. 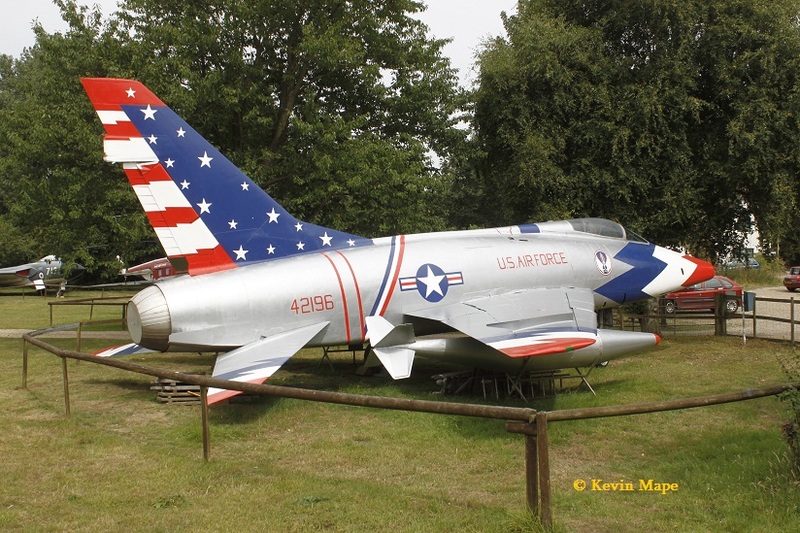 42196/Thunderbirds marks/F-100D – USAF Markings. 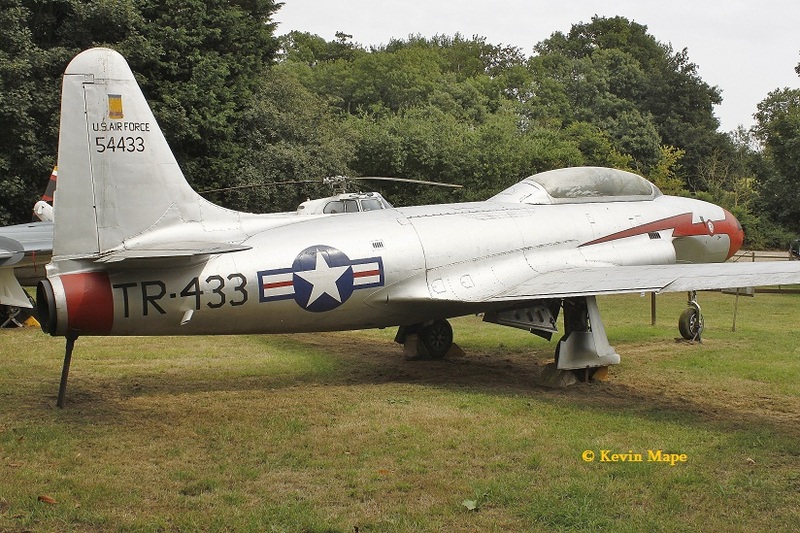 54433/TR-433/20th FBG / T-33A – USAF Markings. 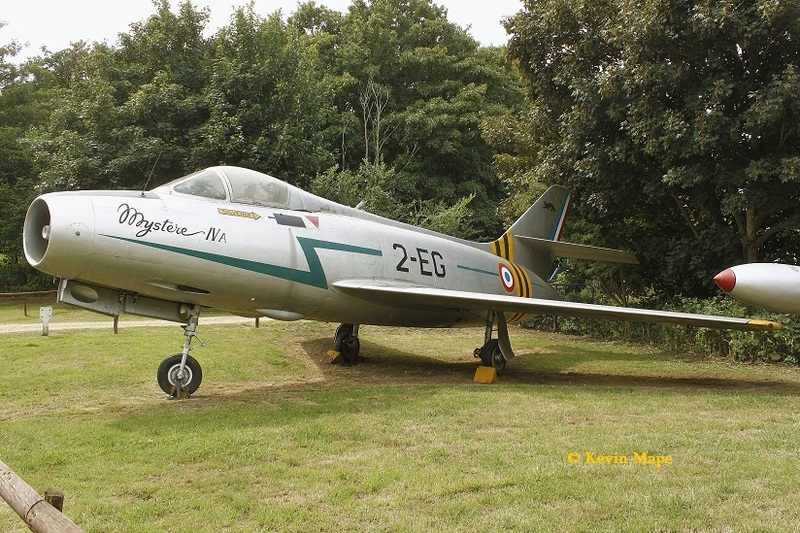 No.79/2-EG/ET2/8/ Mystere IVA – French Air Force marks. 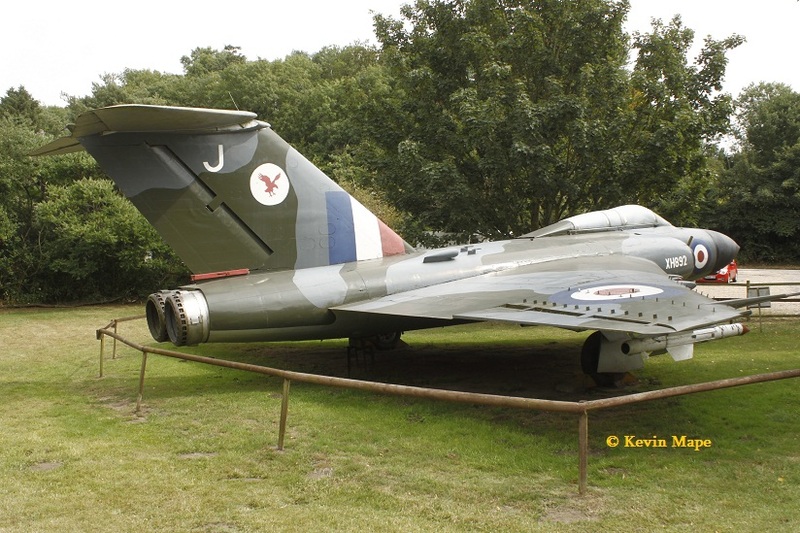 XH892/J/23Sqn marks/Javalin FAW.9R – RAF marks. 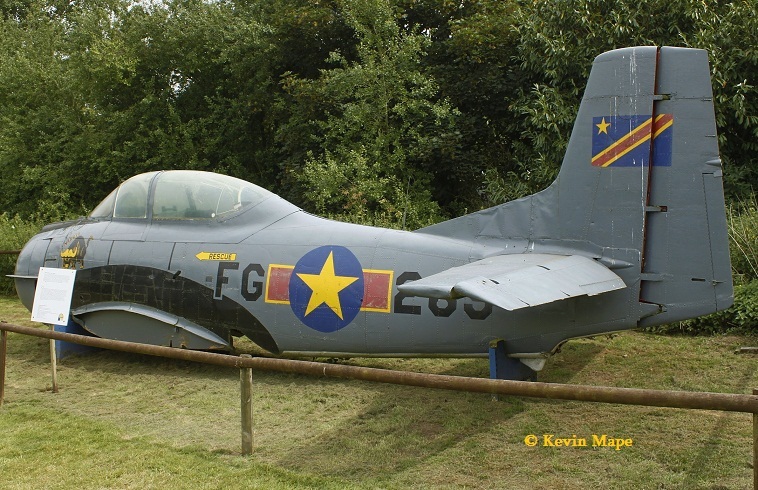 146289/FG-289/T-28C Trojan – Zaire Airforce marks – Fuselage -US Navy VT-3 /2W marks on the other side. 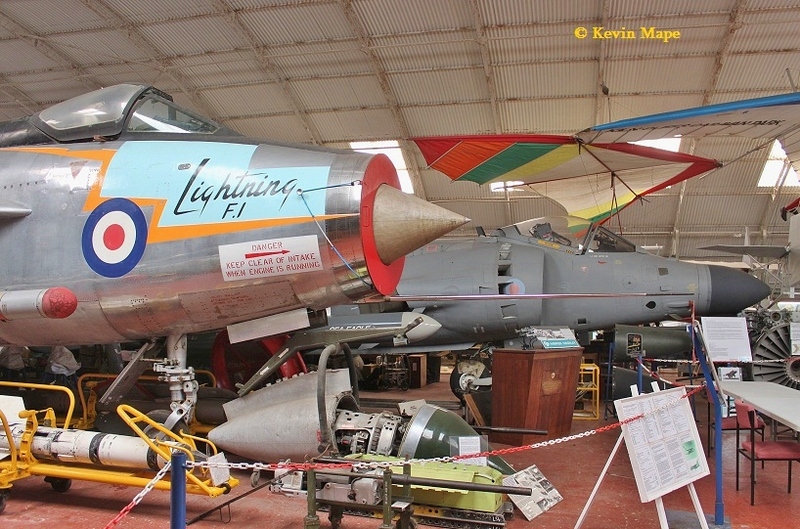 XR485/Q/CFS/Whirlwind HAR.10 – RAF marks. 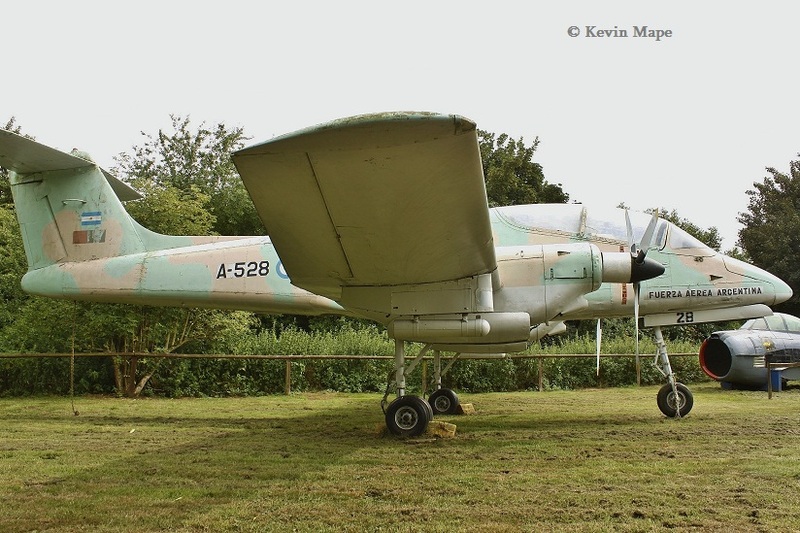 A-528/FMA Pucara -Argentinian Air Force marks. 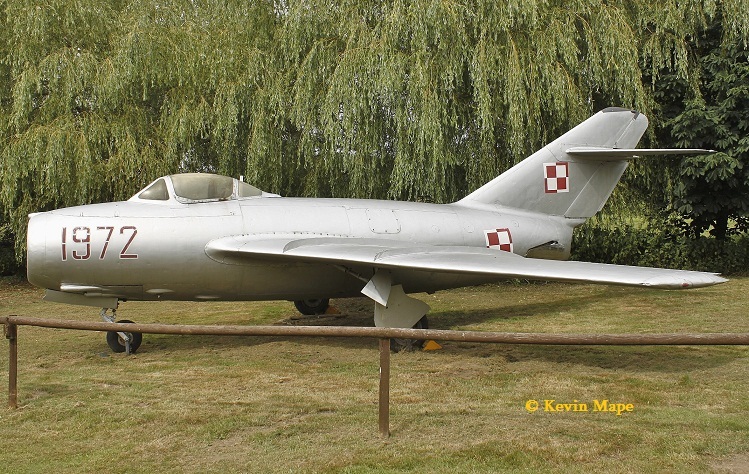 No.3794/Mig -15bis – Czech Air Force marks -one side – No.1972 / Polish Air Force marks on the other side. 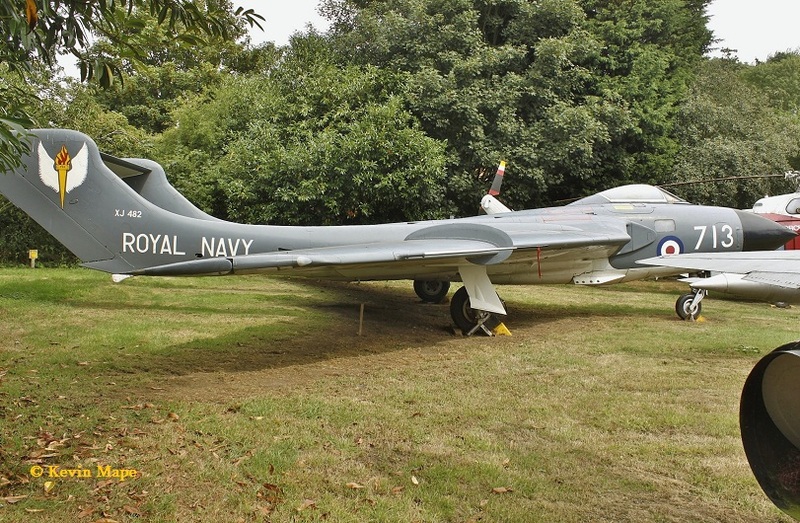 XJ482/713/766NAS marks/Sea Vixen FAW.1 – Royal Navy marks. 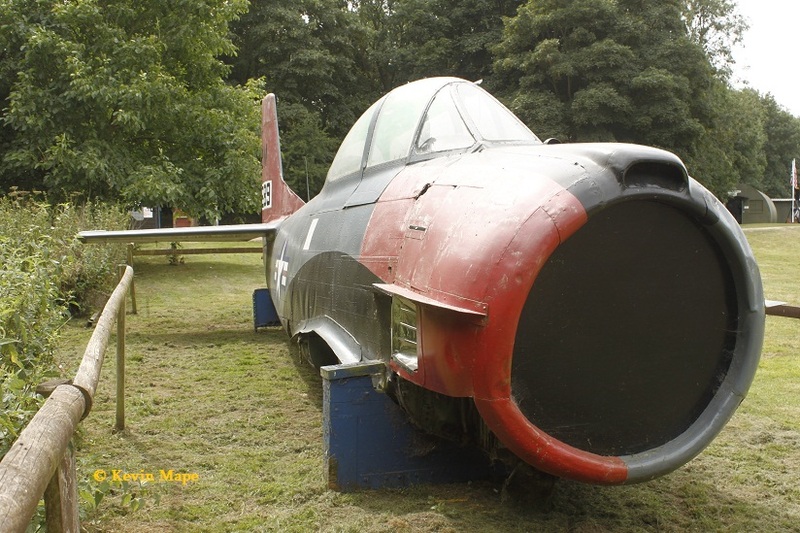 XM279/Canberra B(1)8 – Nose section. 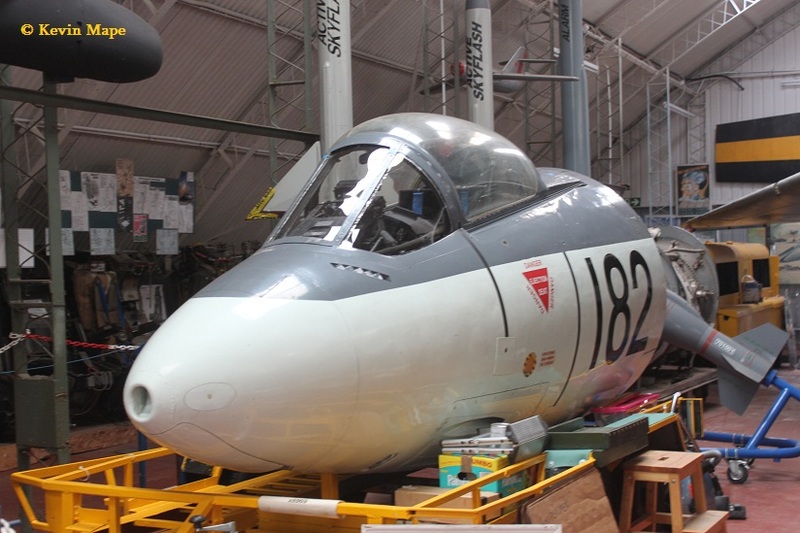 WG789/Canberra B2 Mod – Nose section. 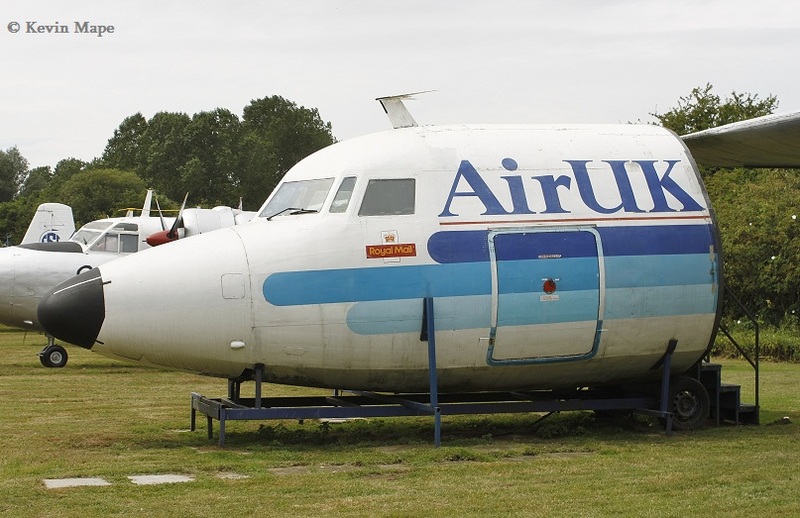 G-BDVS/ Fokker F-27 – Nose section – Air UK marks. 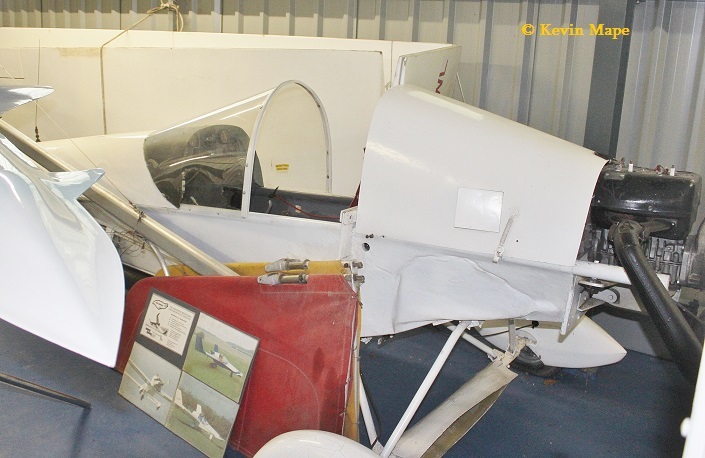 XN500/Jet Provest T3A – CSE Aviation marks. 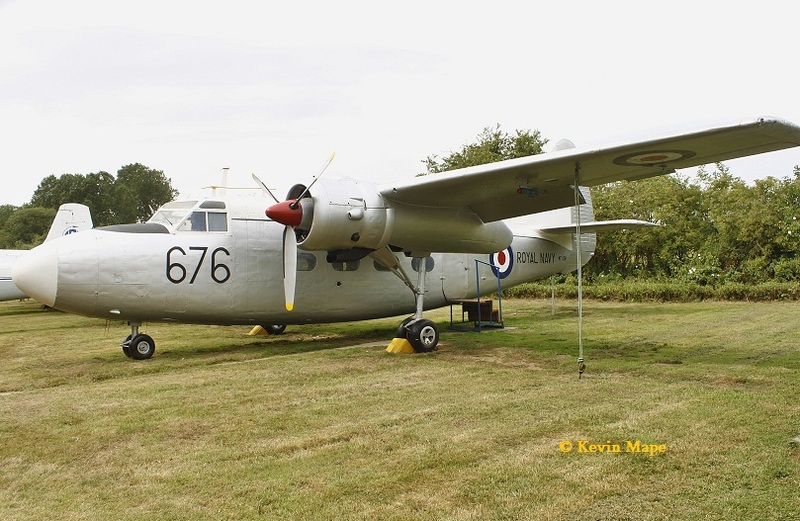 WF128/HF-676/750NAS/Sea Prince T1 – Royal Navy marks. 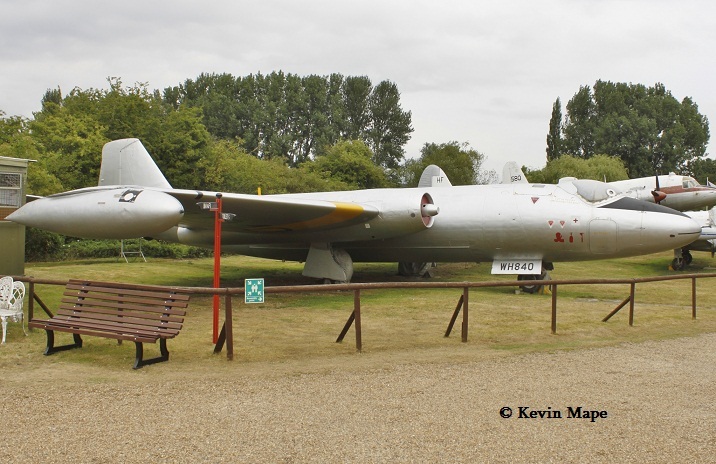 WH840/Canberra T4 – RAF marks. 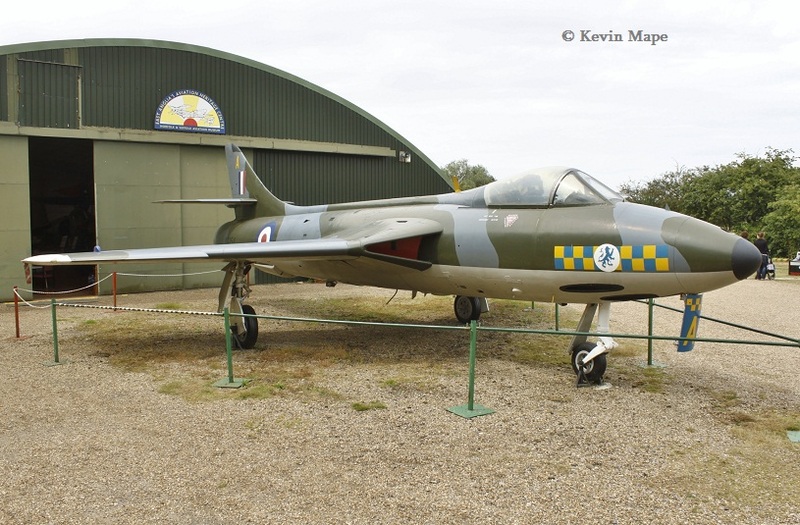 XG254/A/54Sqn marks/Hunter FGA6- RAF marks. 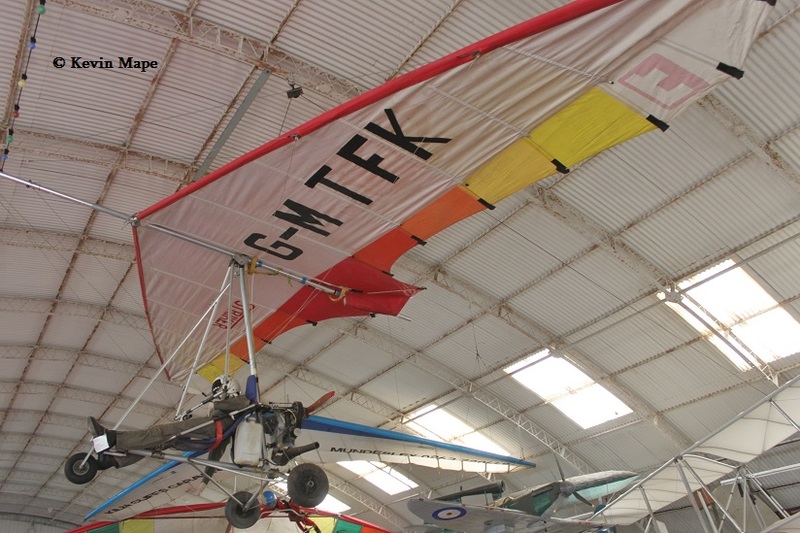 G-MTFK / Flexiform Striker – Micro light. 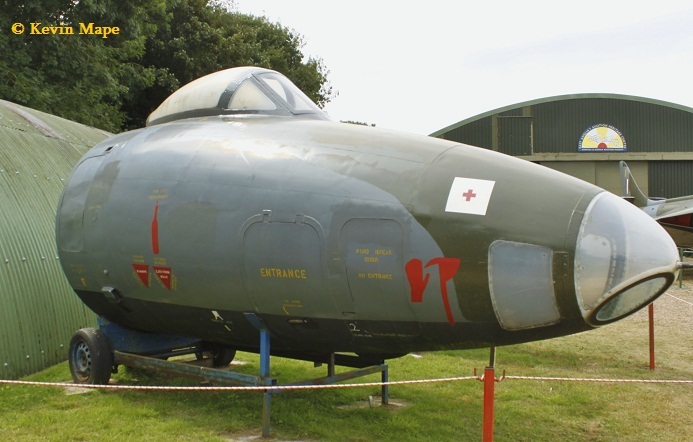 XK624/32/CFS marks / Vampire T11 – RAF marks. 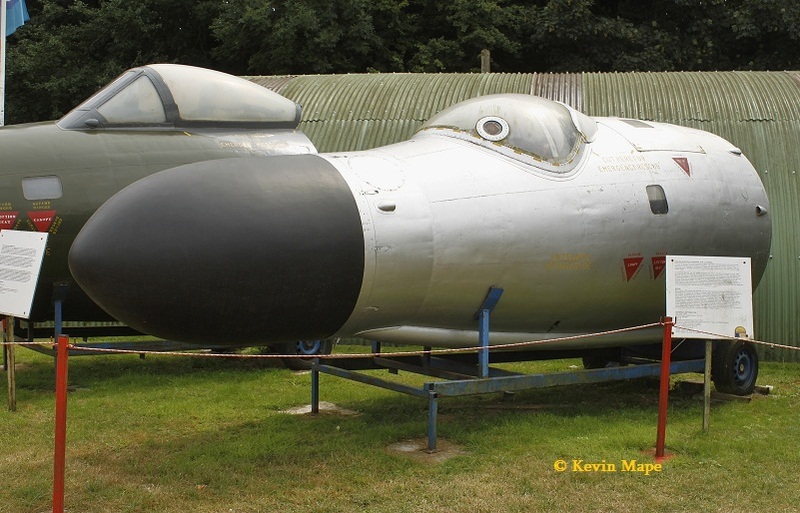 WV605/T-B/6FTS marks / Provest T1 – RAF marks. 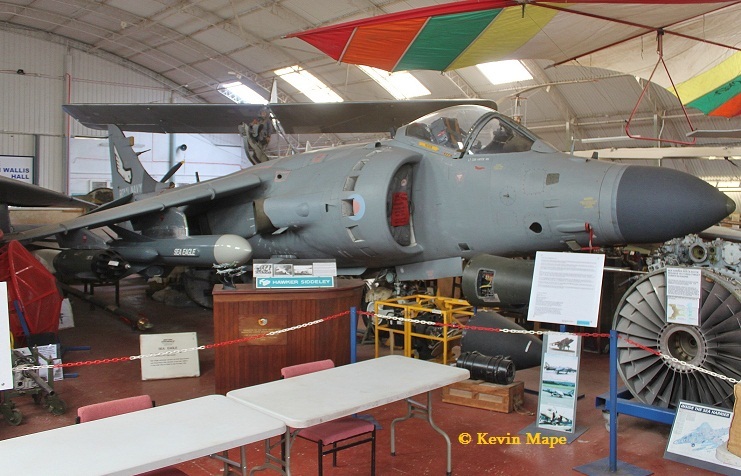 ZA175/899NAS marks/ Sea Harrier FA.2 – Royal Navy marks. 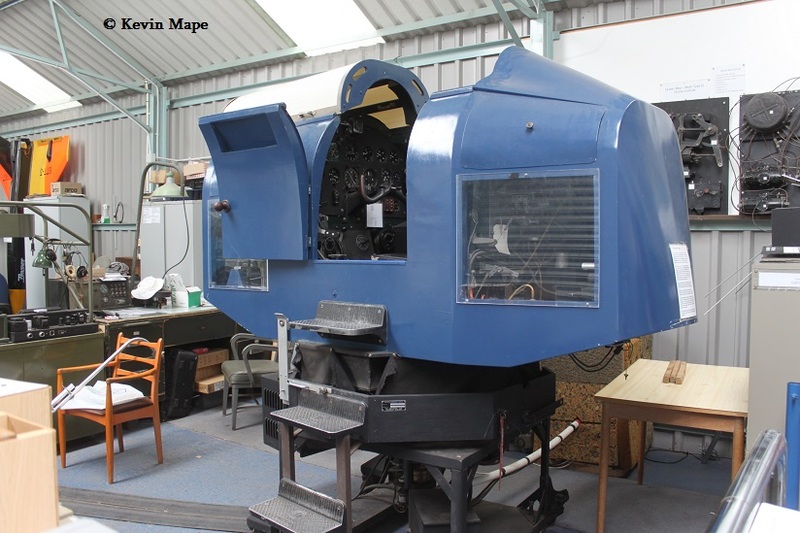 WV838/182/806NAS marks/Sea Hawk FGA6 Cockpit Section – Royal Navy marks. 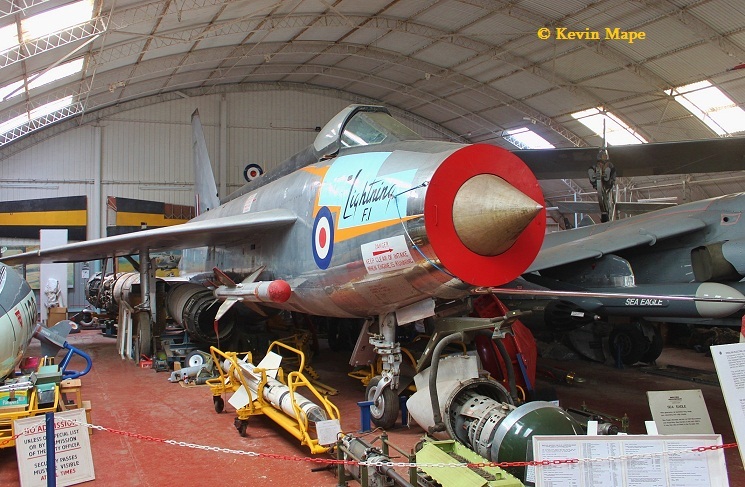 XG329/A&AEE marks/Lightning F1 – RAF marks. 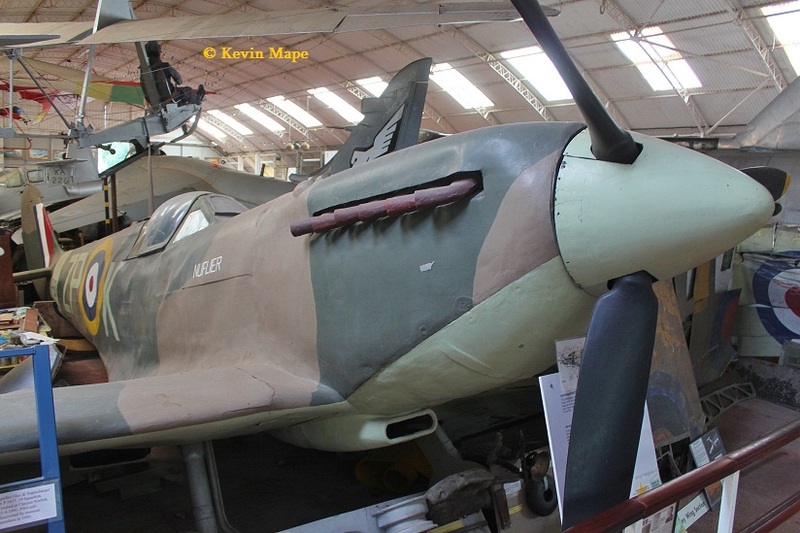 TD248/8Q-T/695Sqn marks/ Spitfire XVI Fuselage (reconstruction) – RAF marks. 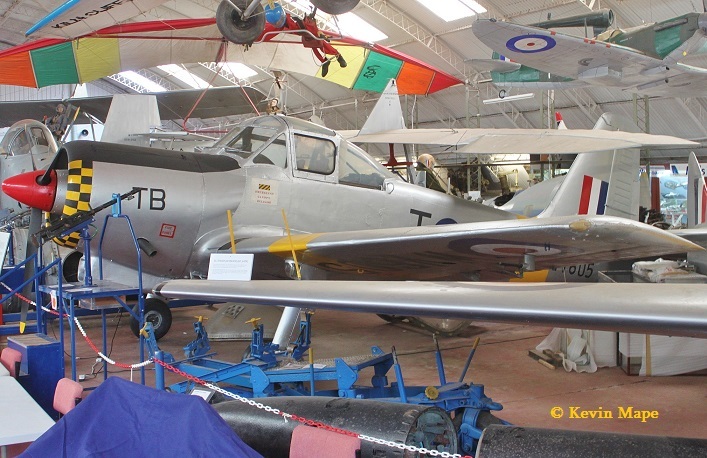 P8140 (BAPC.71)/ZP-K/74Sqn marks/Spitfire FSM – RAF marks. 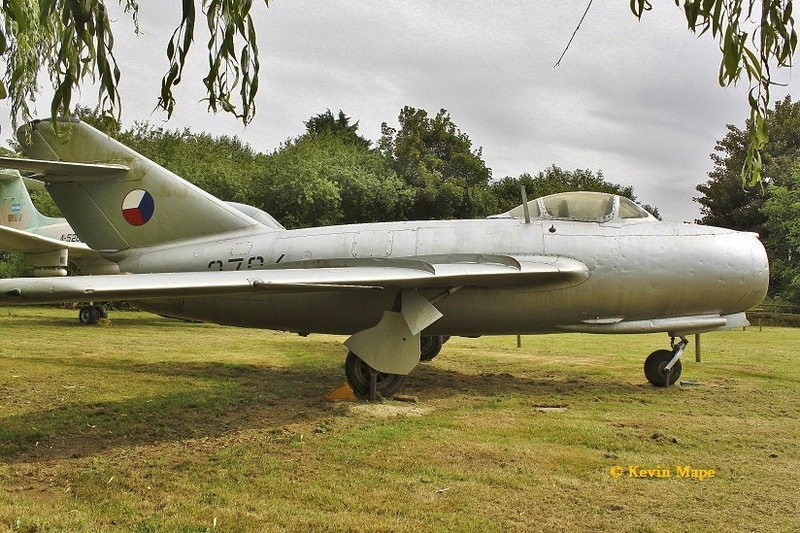 XA226/Grasshopper TX1 – RAF marks. 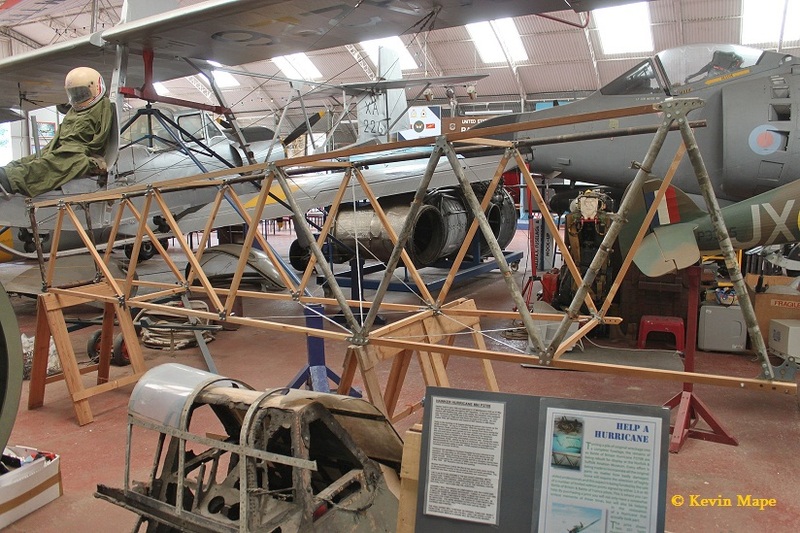 P3701/Hurricane I Fuselage – Under construction. 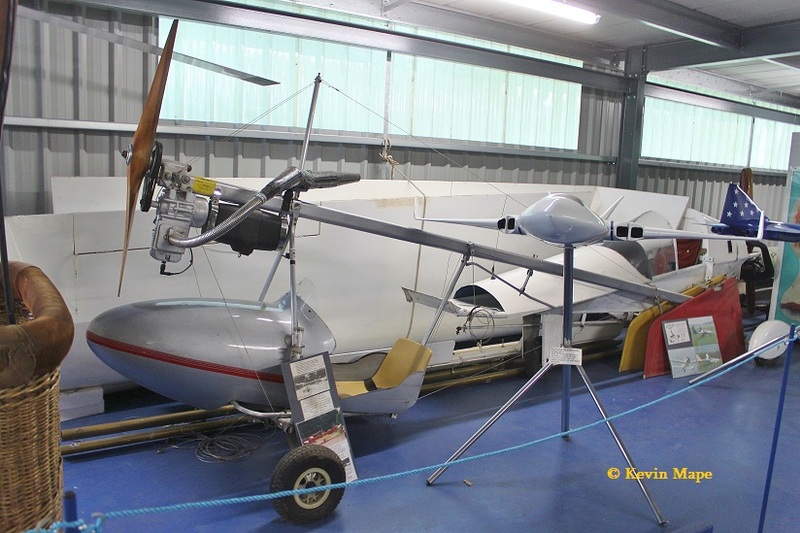 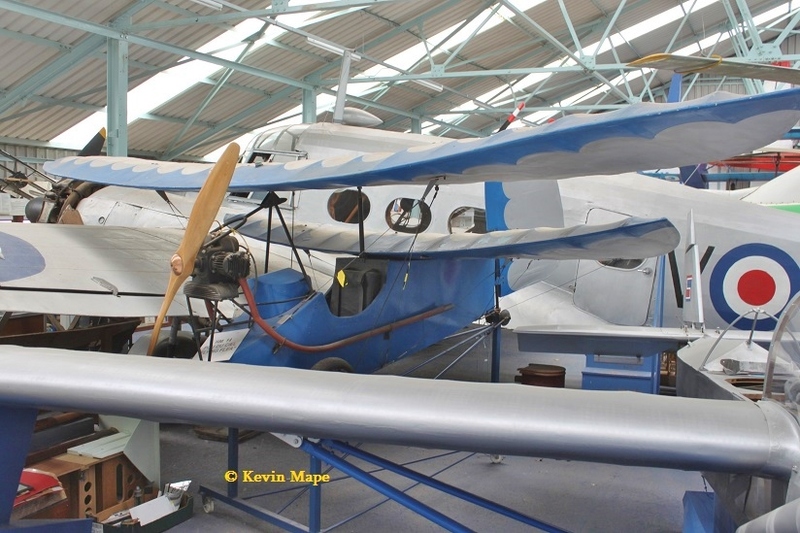 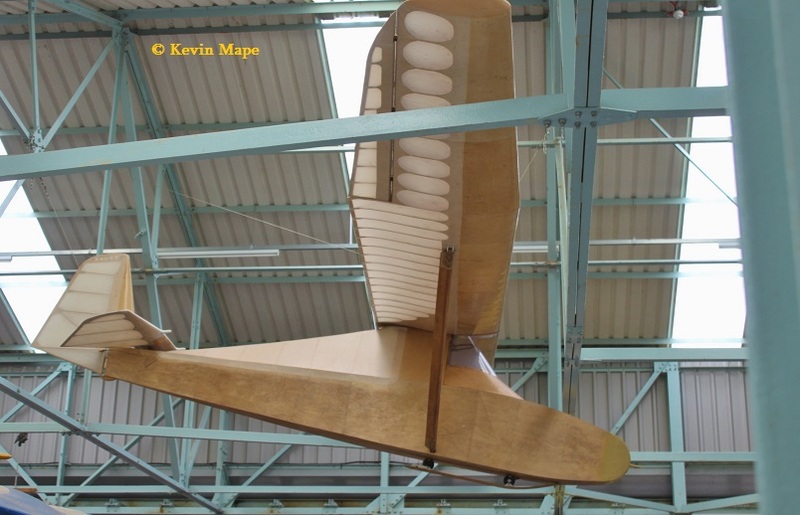 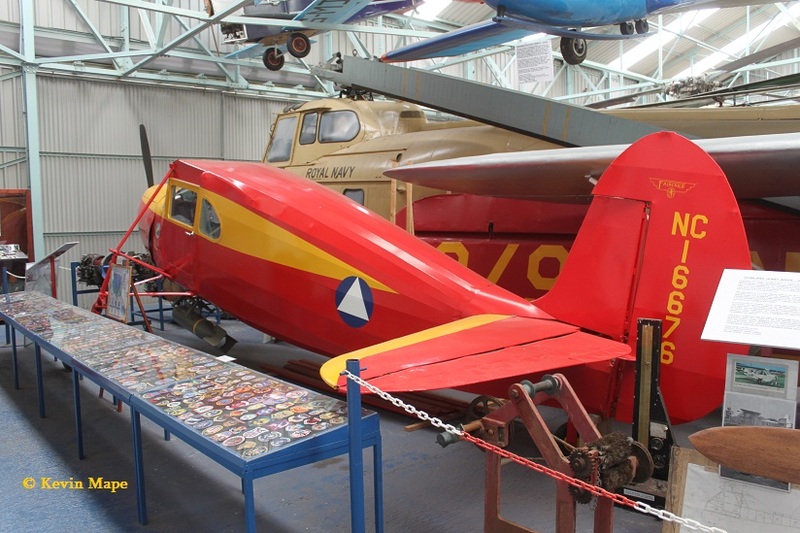 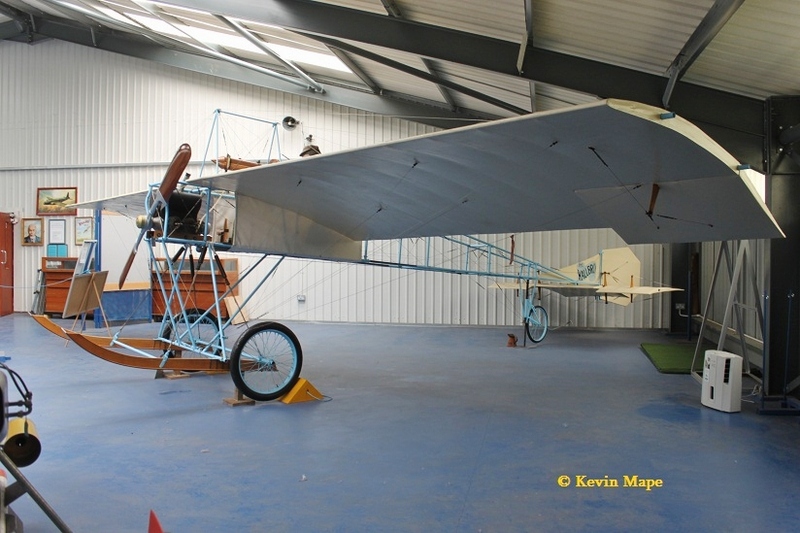 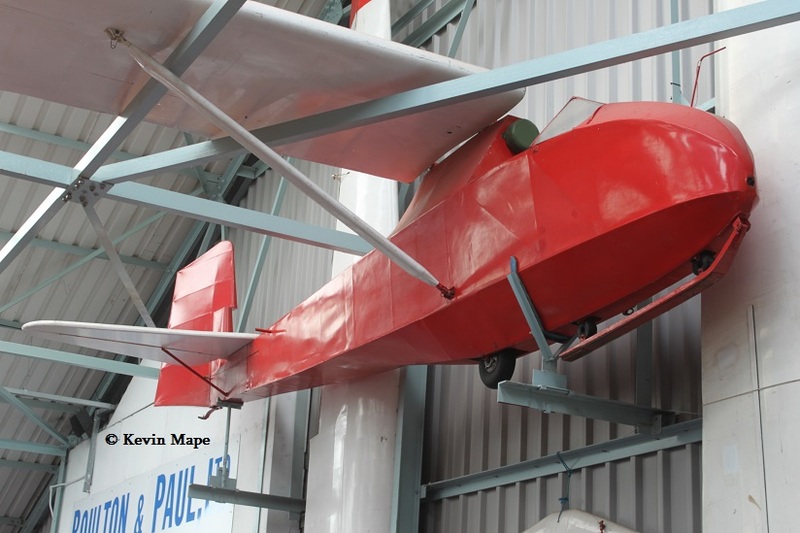 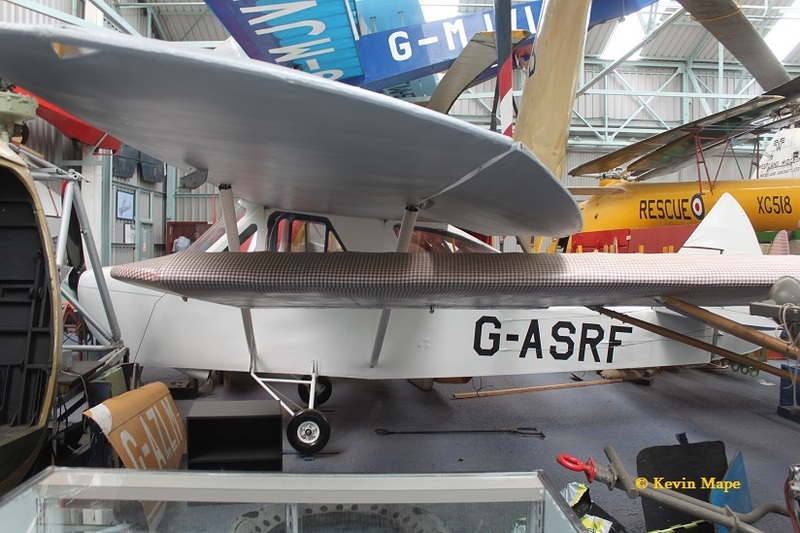 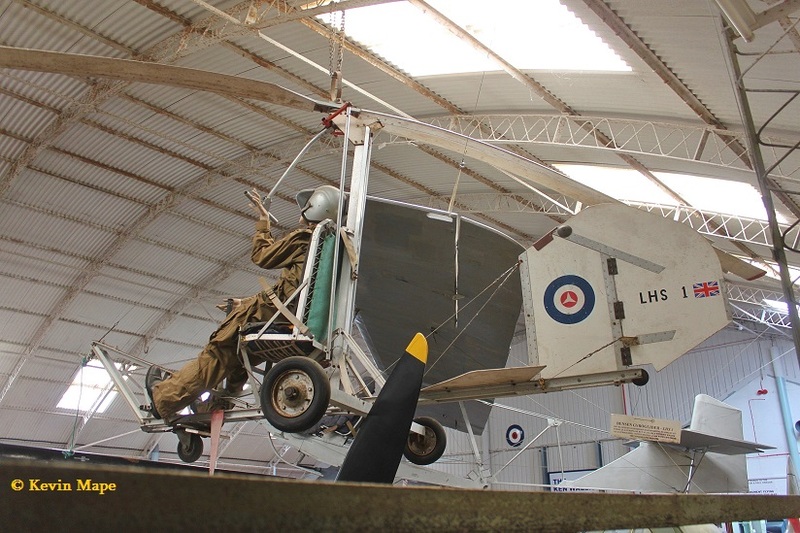 (G-BFIP) / Wallis Mono Replica. 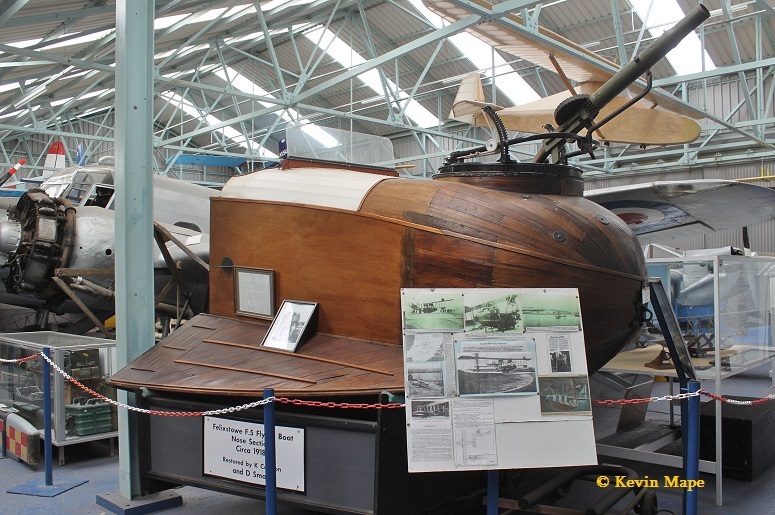 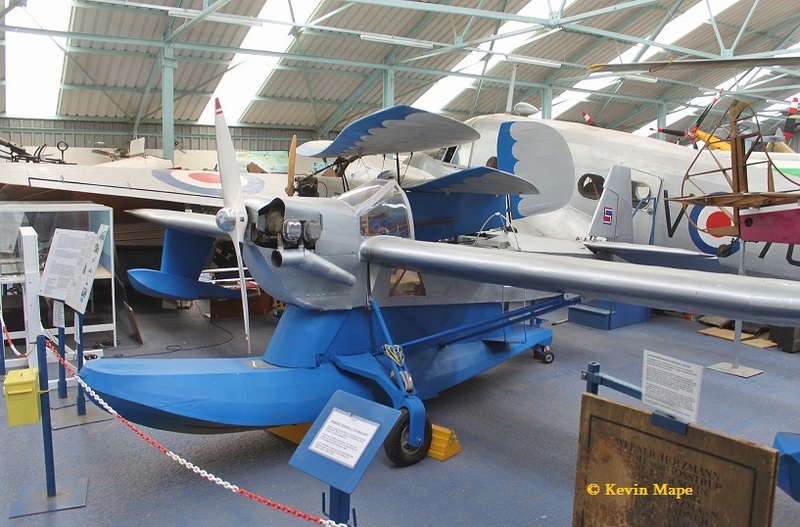 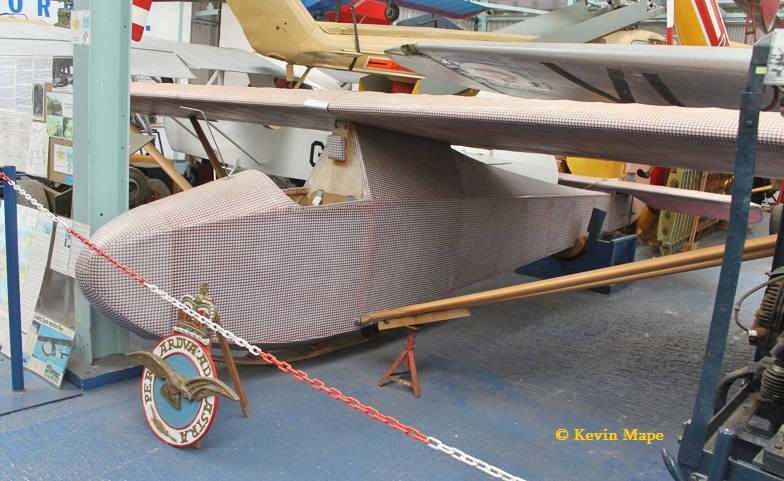 ——– / Felixstowe F5 Flying Boat – Nose section. 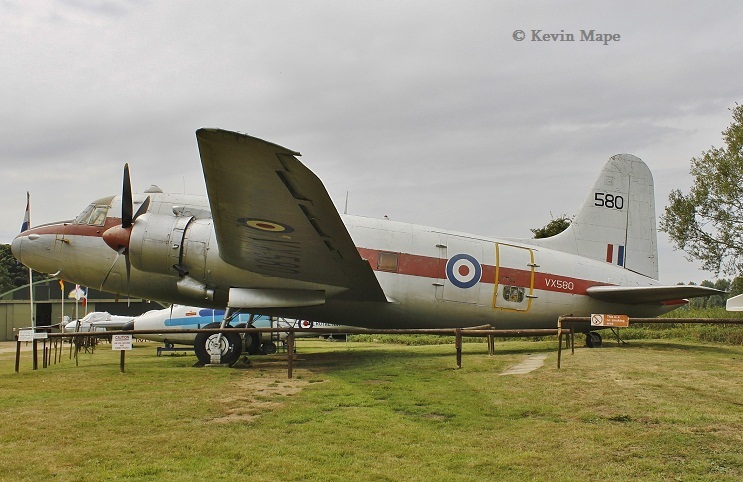 VL349/V7-Q/Avro C19 Anson – RAF marks. 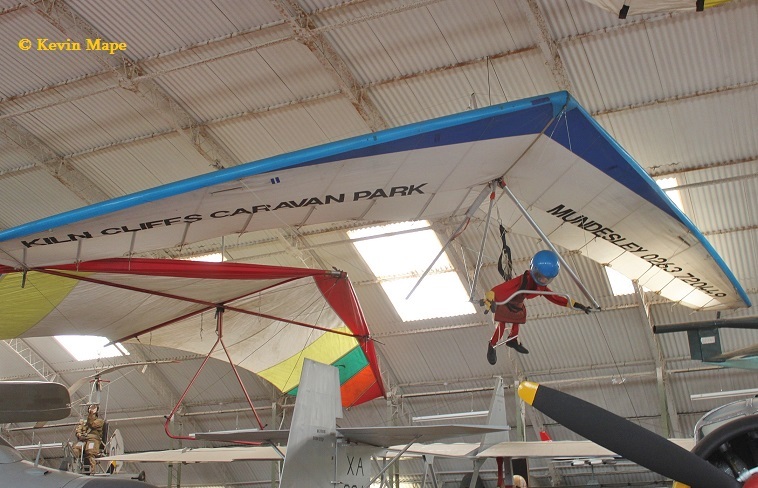 G-MJVI /Lightwing Rooster 1 ( Micro light) – Hanging from the roof. 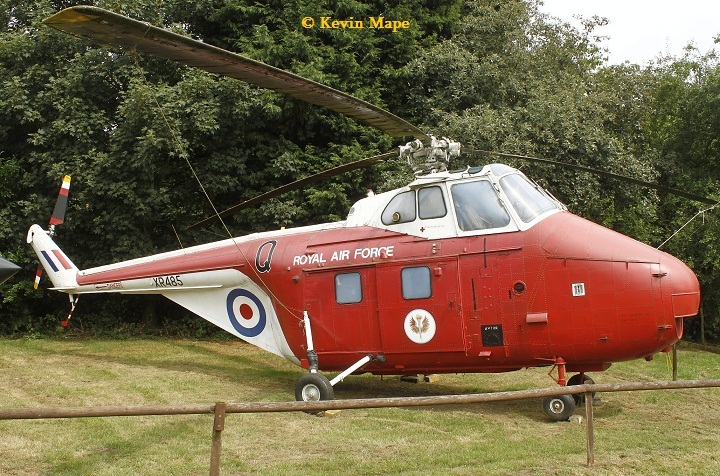 XG518/ Rescue marks/ Sycomore HR.14 – RAF marks. 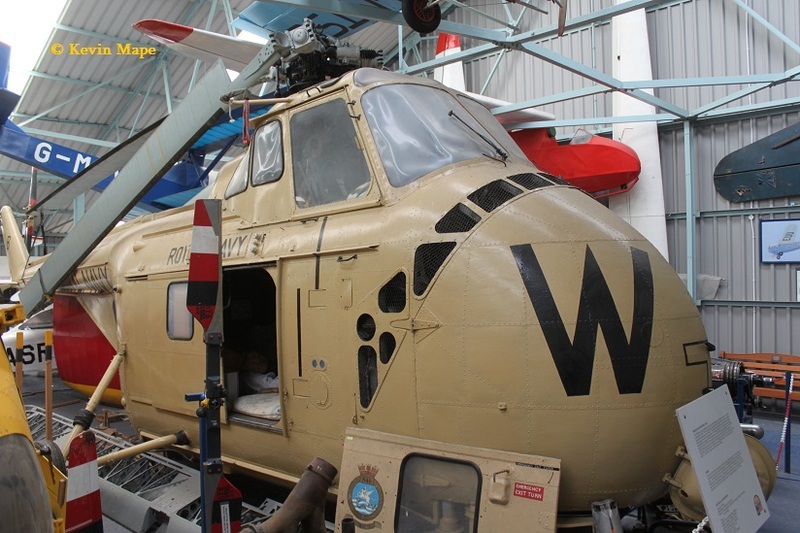 XN304/B-W/848NAS/Whirlwind HAS.7 – Sand marks – Royal Navy. 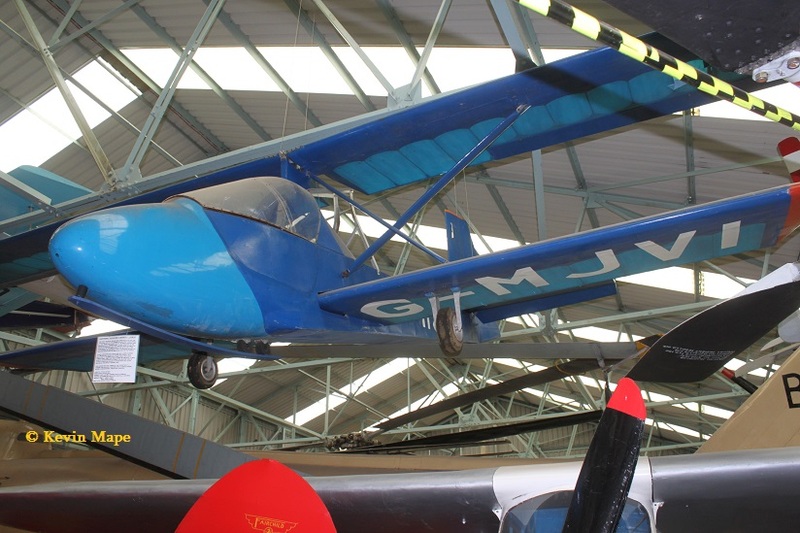 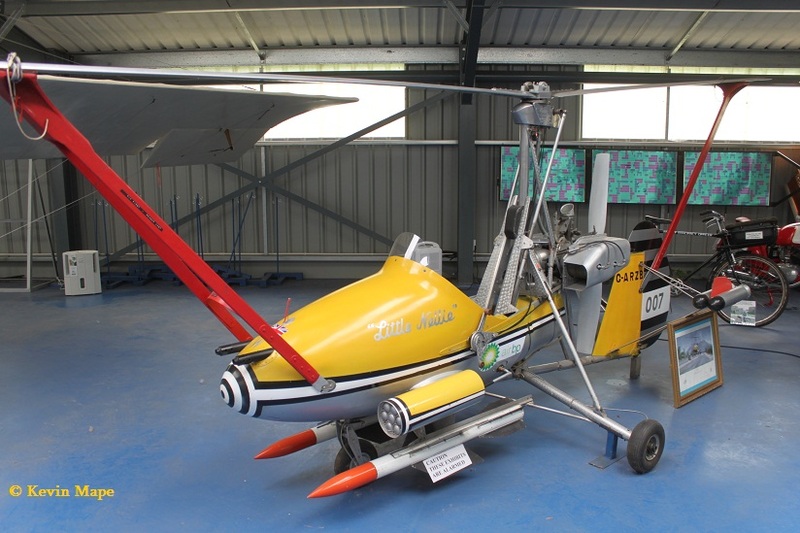 G-MJSU/MBA Tiger Cub ( Micro light) – Hanging from the roof. 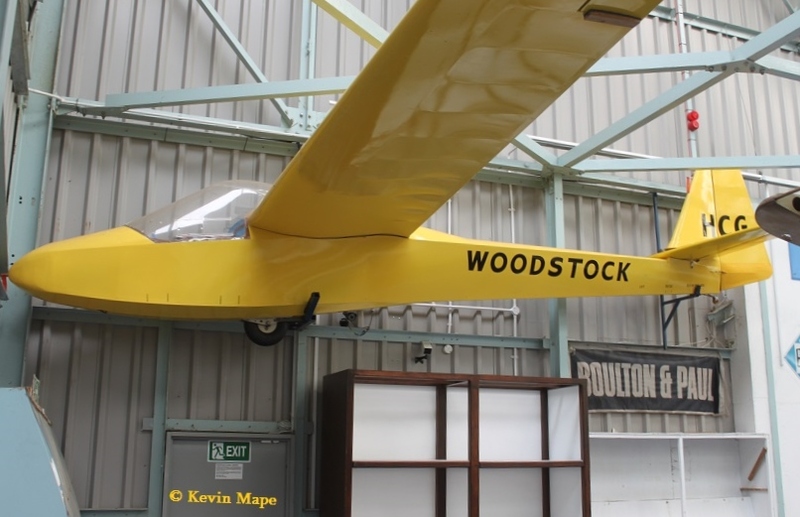 HKJ/BGA.4002/Penrose Pegasus 2 Replica (Glider) – Hanging from the roof. 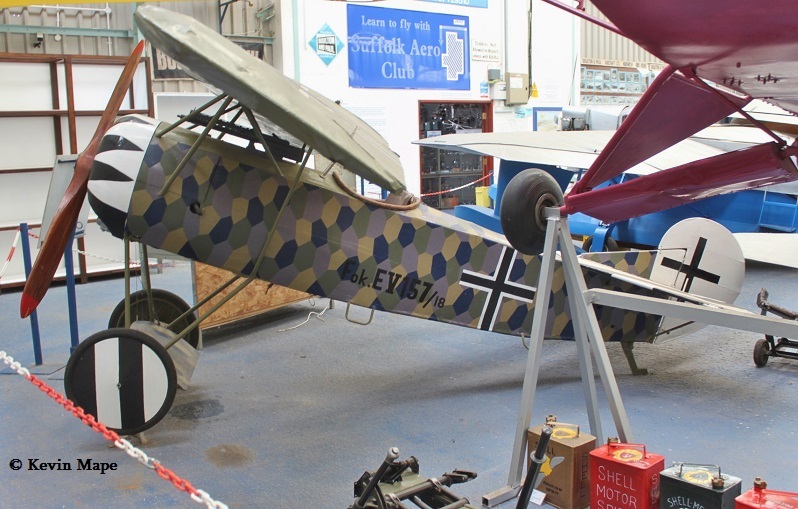 BAPC.239-157/18/Fokker D.VIII 5/8th Scale replica – Luftwaffe marks. 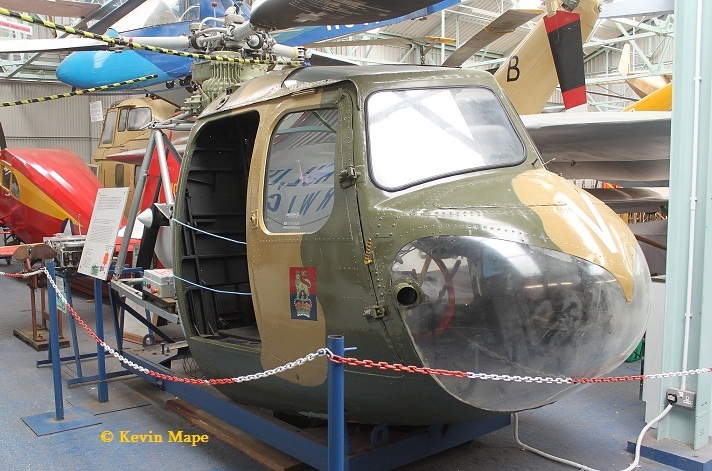 BAPC.115/Mignet HM.14 Pou Du Ciel. 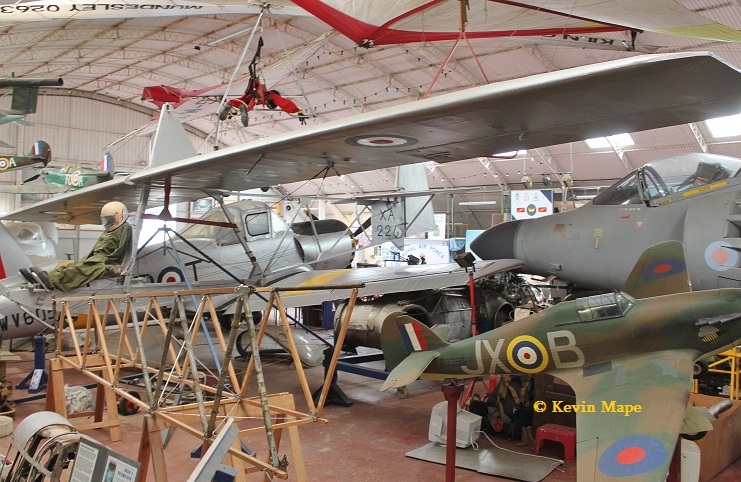 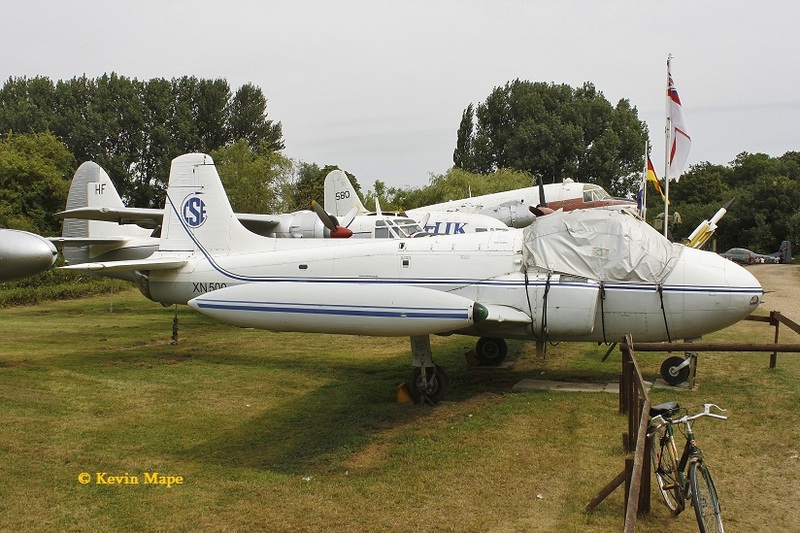 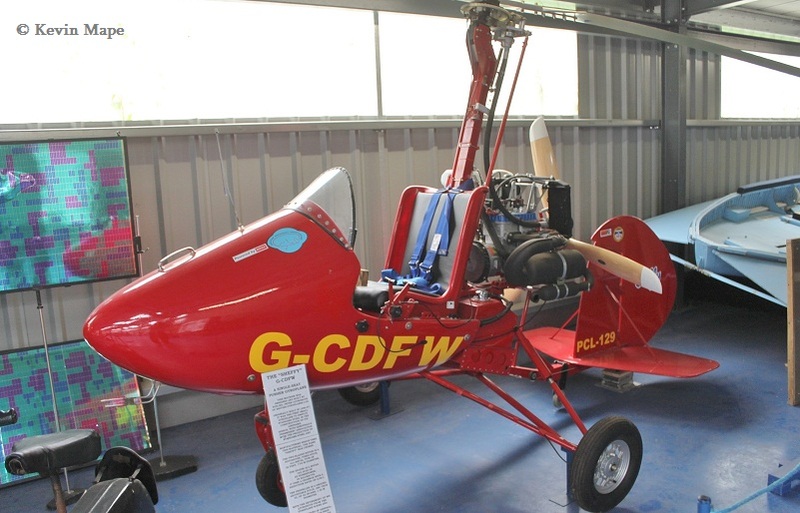 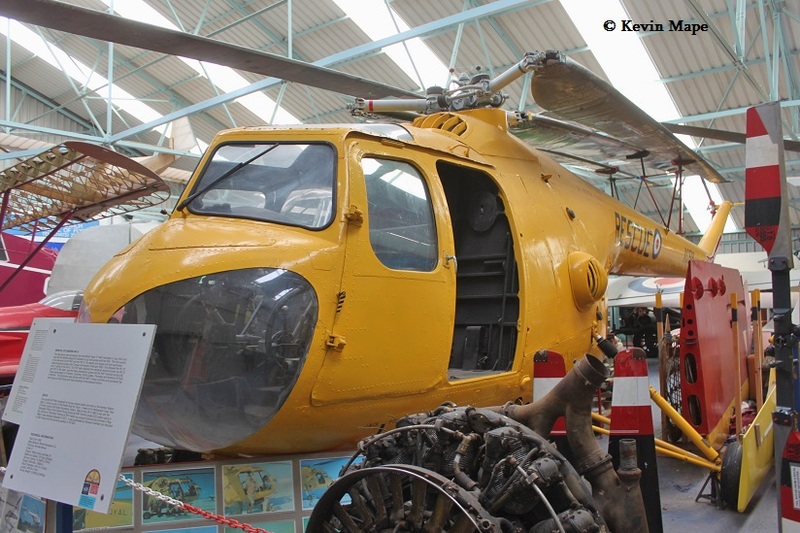 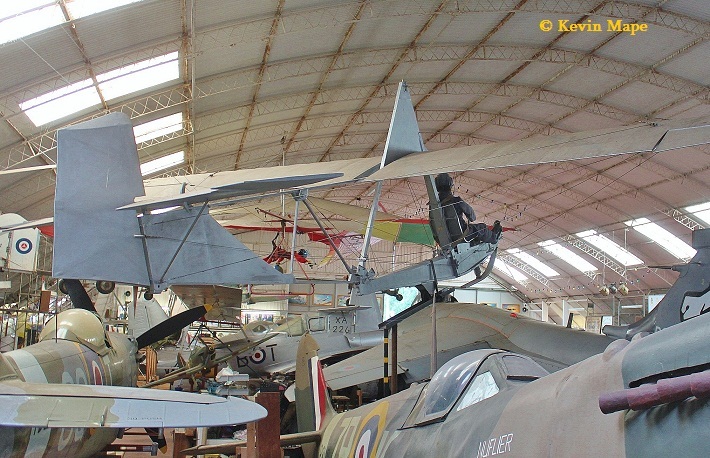 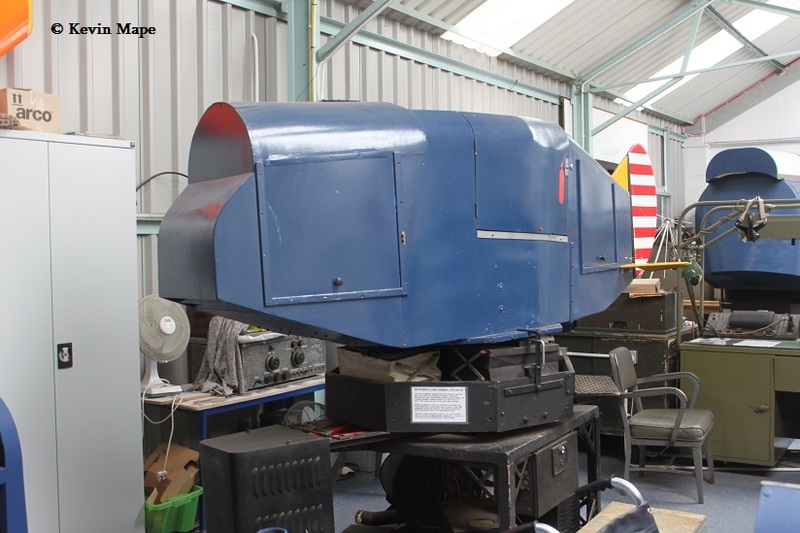 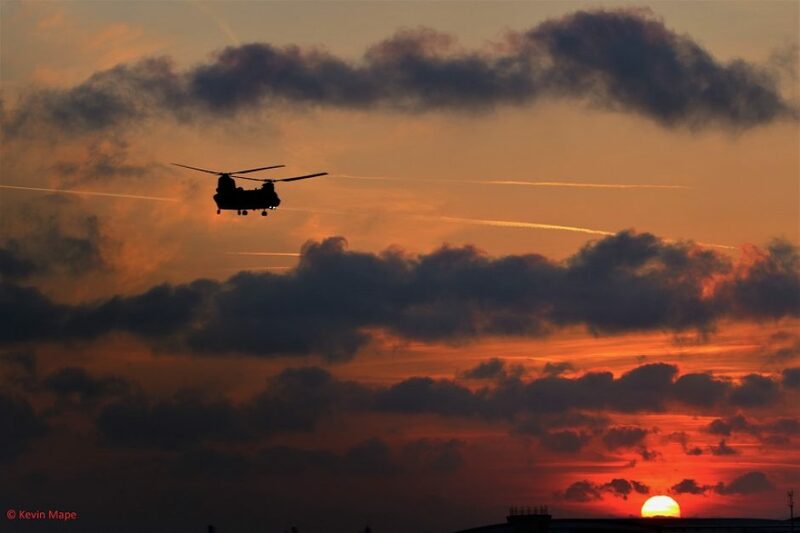 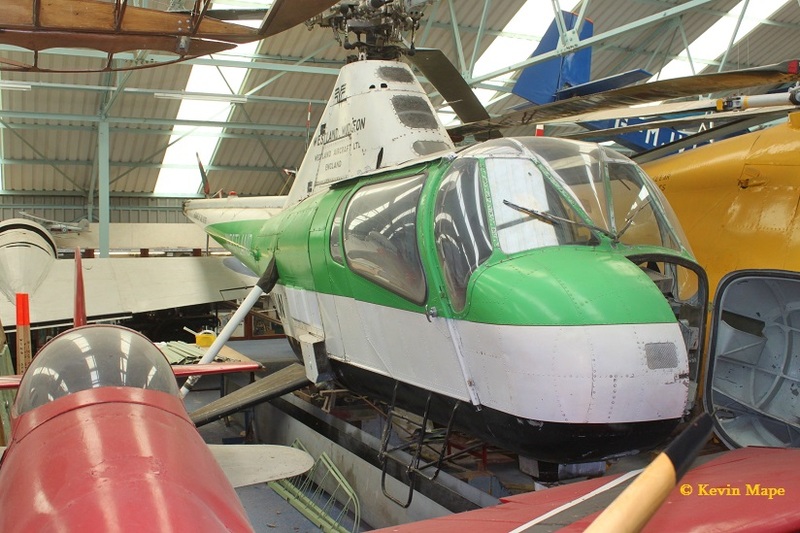 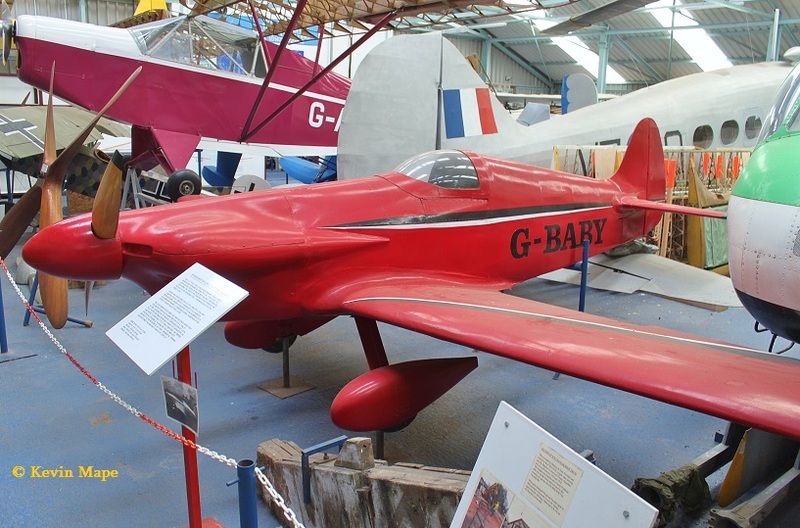 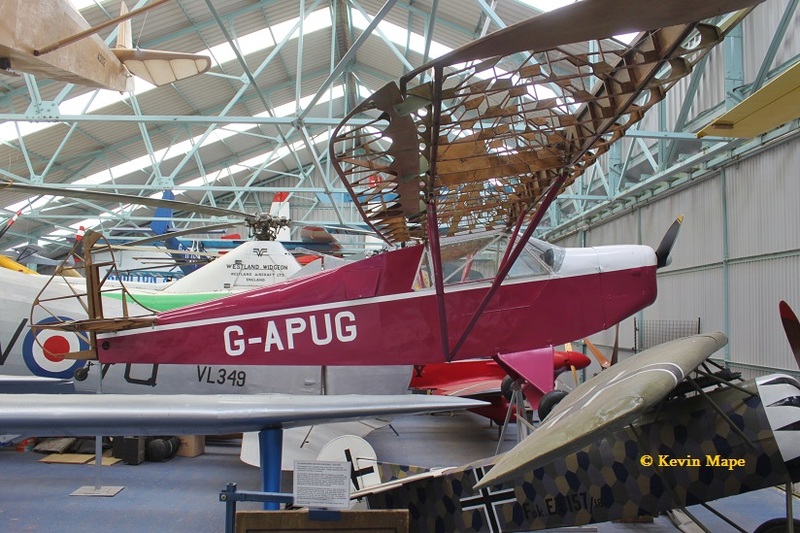 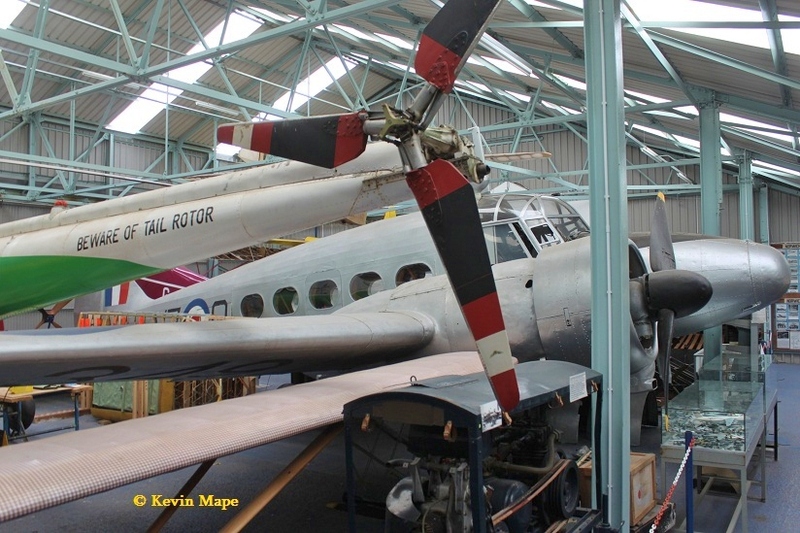 A great Museum with a very diverse collection , I would hope that there is something of interest for everyone that visits the Norfolk & Suffolk Aviation Museum. 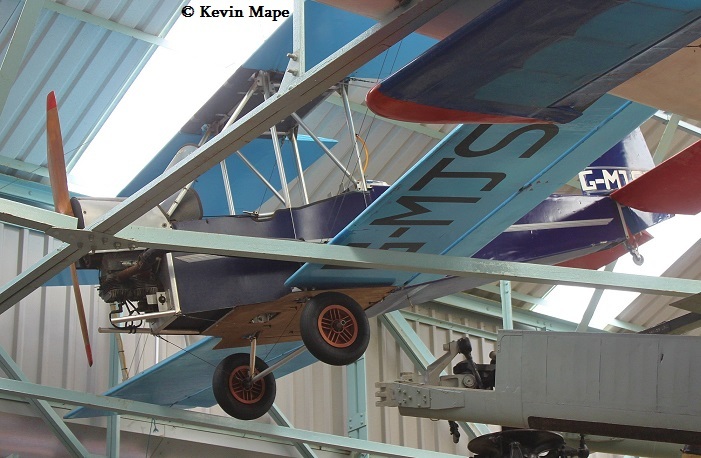 As with most Air Museums space undercover is at a premium so exhibits are very close together , It makes taking pictures a challenge. 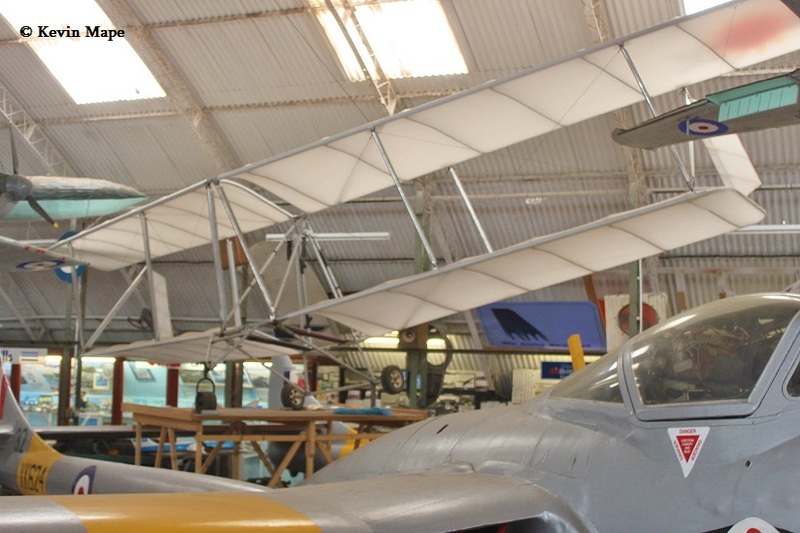 The Cafe and shop were well stocked and the staff were very helpful. 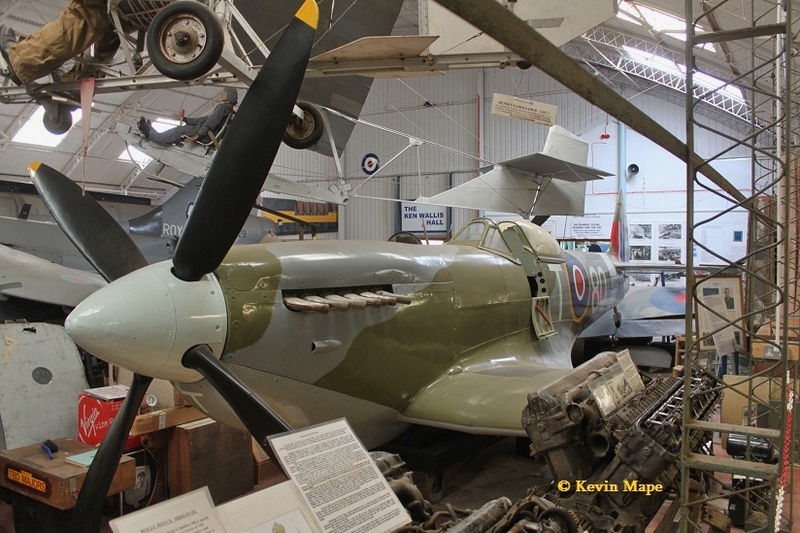 A long way from Coningsby but well worth the visit.